↑ "Sir Ronald Ross, (born May 13, 1857), Almora, India". Encyclopaedia Brittanica, Inc, अंग्रेजी संस्करण. अभिगमन तिथि 27 दिसम्बर 2017. 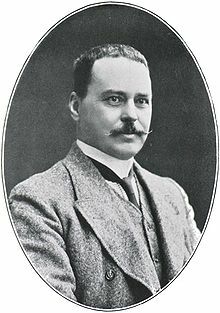 ↑ "Ronald Ross, a British medical doctor who linked the disease of Malaria to mosquitoes, was born in Almora, in present-day Uttarakhand". Indiatoday in Education, अंग्रेजी संस्करण. अभिगमन तिथि 27 दिसम्बर 2017. ↑ "Ronald Ross was the son of C.C.G. Ross who was a general of the English Army। He was brought to this world by his mother Matilda Charlotte Elderton and his birthplace was in Almora which is now Uttarakhand in India". Famous Scientists, The Art of Genious, अंग्रेजी संस्करण. अभिगमन तिथि 27 दिसम्बर 2017. ↑ "Ross is remembered for his malaria work". Centers for disease Control and Prevention, अंग्रेजी संस्करण. अभिगमन तिथि 28 दिसम्बर 2017.